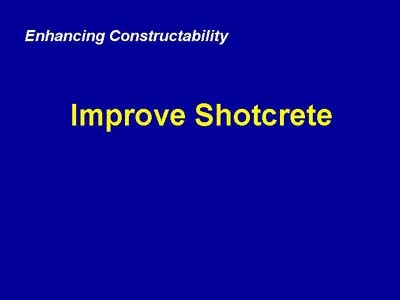 Using silica fume in shotcrete is an excellent example of improvements in mechanical properties, durability, and constructability. Silica-fume shotcrete offers the contractor the advantages of significantly reduced rebound and increased layer thickness. Improvements in compressive strength and durability are just part of the package.